your patio, or pull out your charcoal briquettes. lighting to your new area. Here you will find out more information about our company, pictures, and some testimonials that may help answer any questions that you may have. FTL has been serving the North Dallas area proudly since 1994, and recently we've expanded our scope. 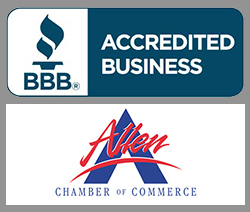 We now are doing business for both residential and commercial clients! This includes the Allen, Mckinney, and Fairview areas. We're really excited about our latest expansion and growth and hope you choose to "grow" with us. Feel free to explore our website and to contact us with any questions or comments that you may have. The pictures above are just a small part of what we can do for you and your outside areas to bring it to life and personnalize, making it possible to enjoy YOUR HOME LIVING. We look forward to working with you!